Make sure to check out the YouTube video below as well where I show you how to make it! 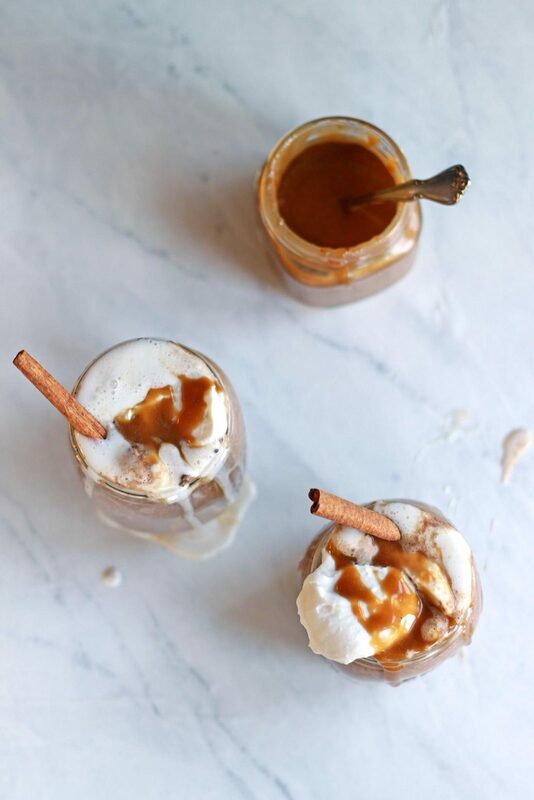 It is great drizzled over fruits, ice cream, or mixed into a drink like hot cocoa! The possibilities are endless. 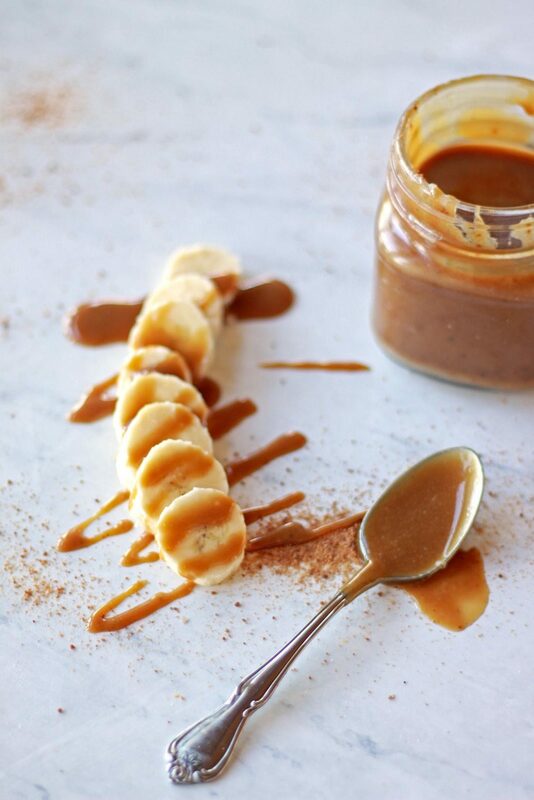 Coconut sugar gives this salted caramel sauce a wonderful caramelized color and taste. 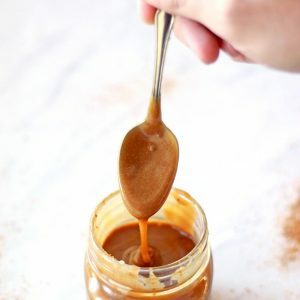 A simple 5-minute, 5-ingredient vegan salted tahini caramel! Perfect on top of your favorite ice cream, fruits, or hot cocoa! Whisk together all ingredients except water in a small, heat-safe bowl. Taste and add more sugar if desired. Heat in the microwave in 30-second increments until sugar is dissolved, up to 1 minute. Alternatively, whisk in a small saucepan over medium high heat until sugar is dissolved. 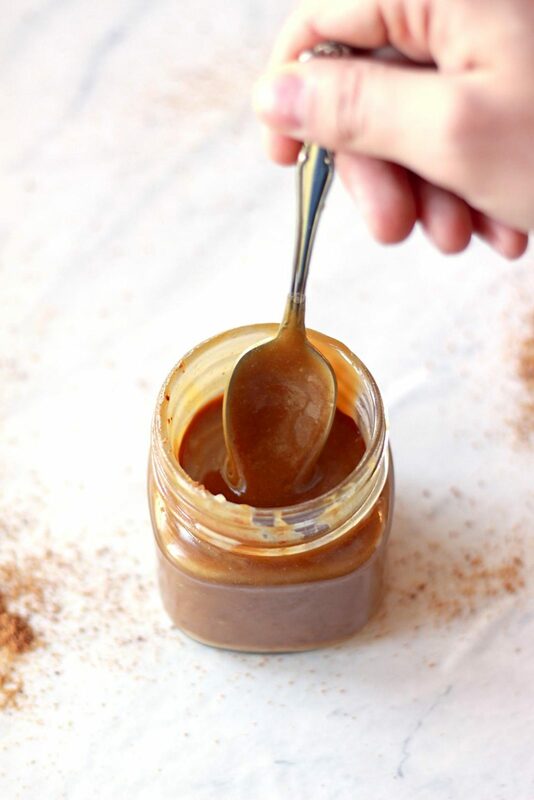 Remove from heat and pour the caramel into a serving container. Whisk if slightly separated. 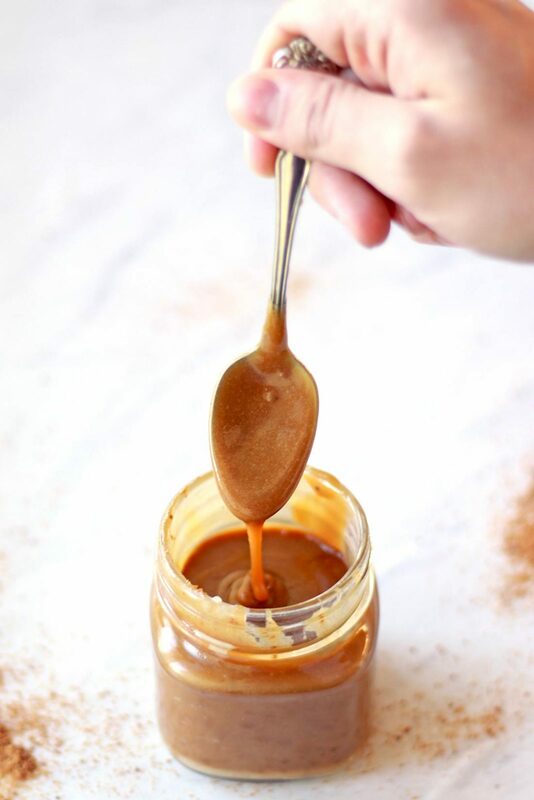 For a more syrupy, drippy consistency, once cool, whisk in water 1 tsp at a time until desired consistency is reached. Enjoy immediately! Can be stored refrigerated up to a week.